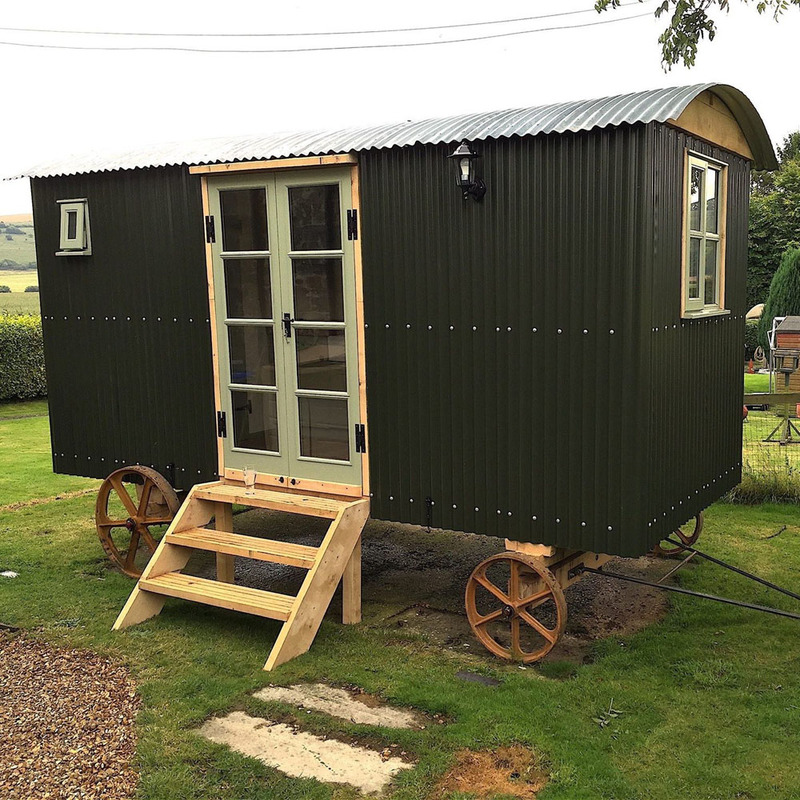 Built by Andy from Dorking, Surrey. 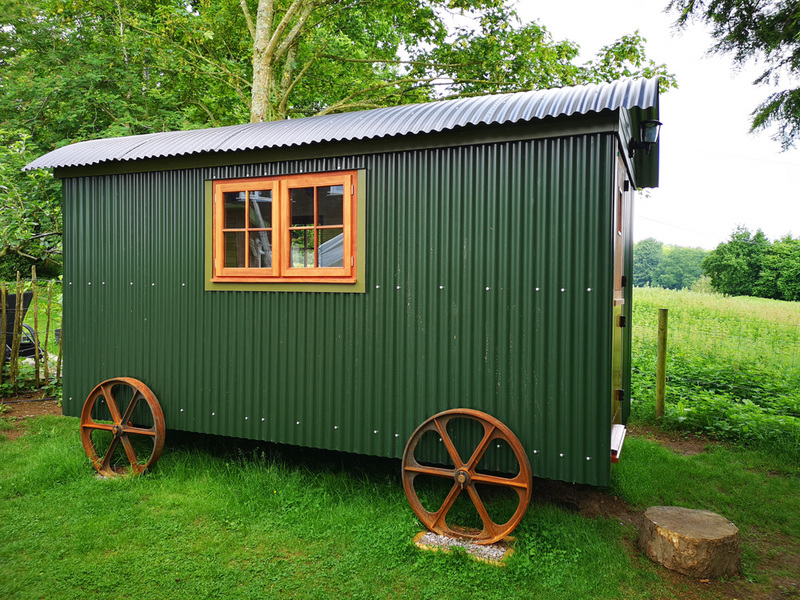 Built by Andy from Dorking, Surrey using a Metalwork Chassis Bundle including cast iron wheels etc, doors and windows, timber roof construction and corrugated roof and wall sheets. 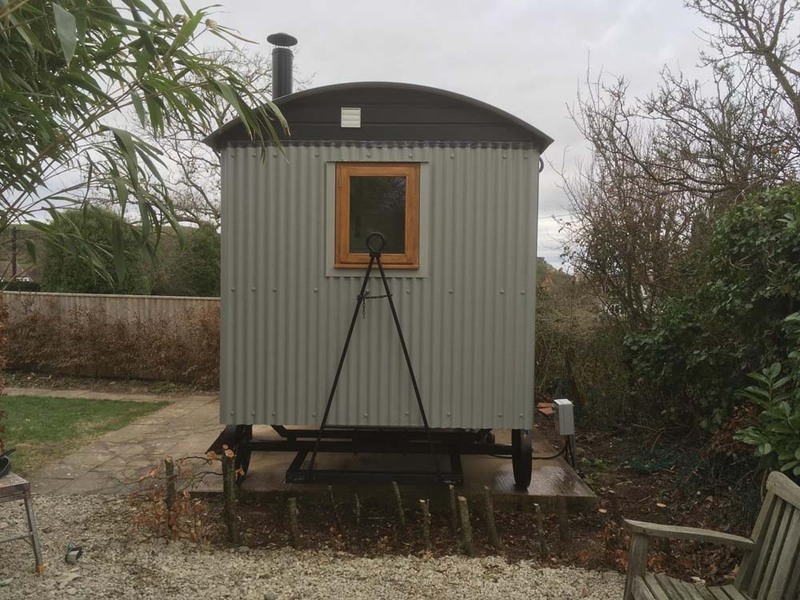 Built by Ross in Bude, Cornwall. 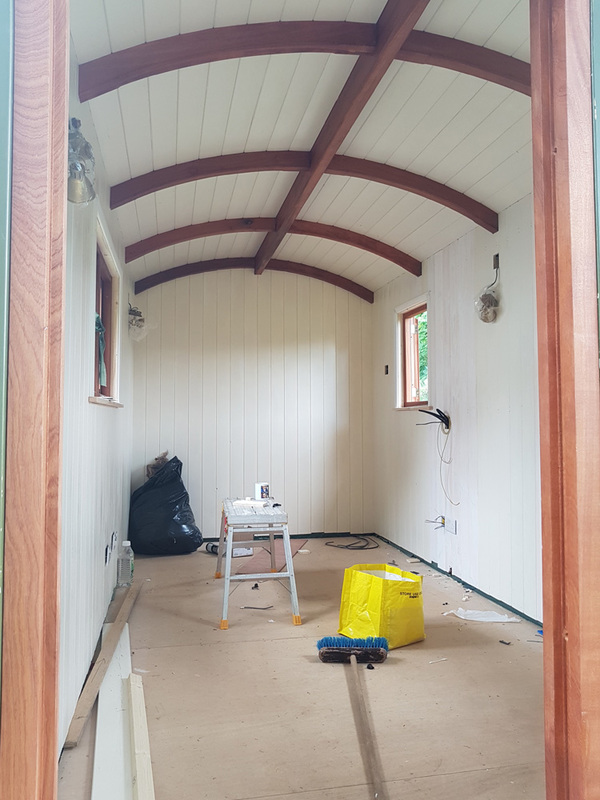 The timber roof construction and roof sheets for this 8.6m x 2.9m hut were supplied by Tithe Barn and built by Ross in Bude, Cornwall. A magnificent undertaking!. 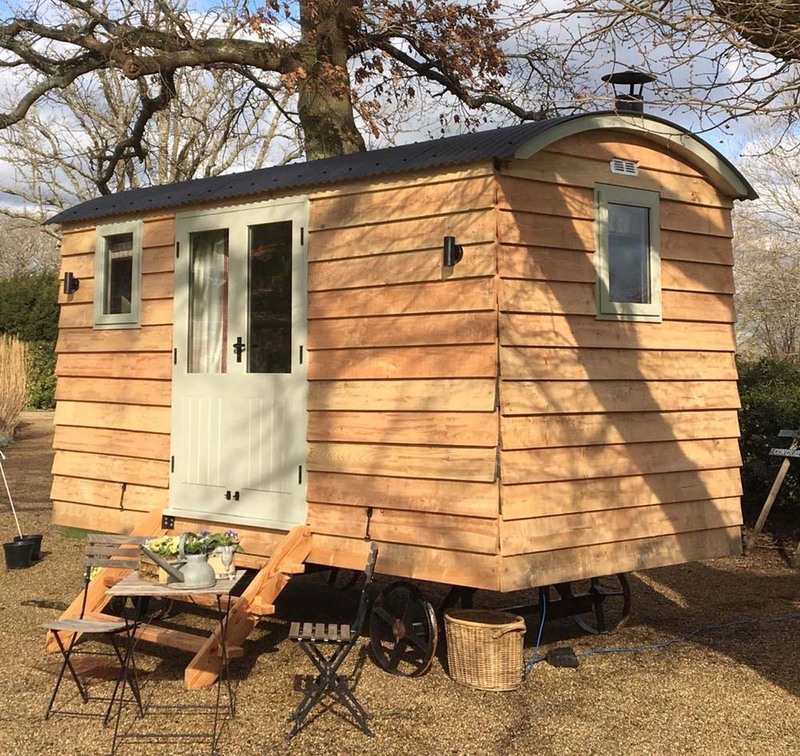 Built by Will in Sevenoaks, Kent using doors, windows and roof sheets from Tithe Barn. 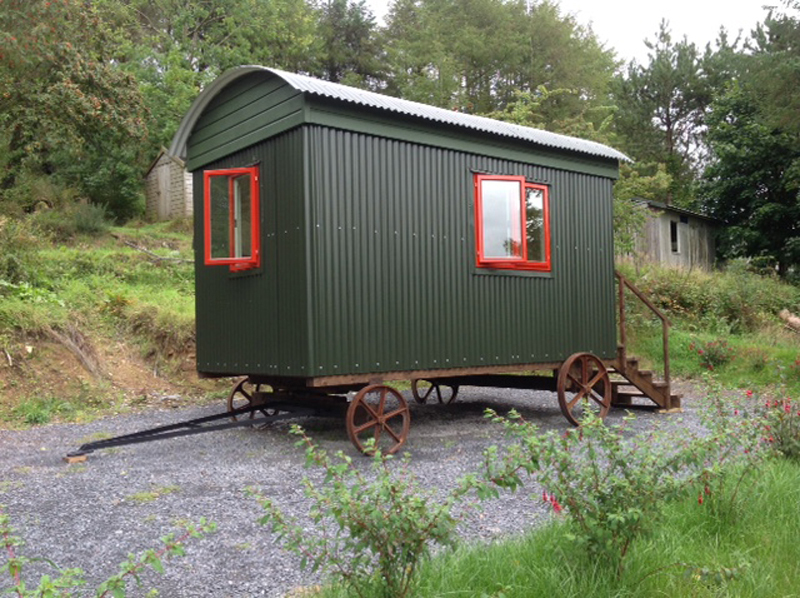 Built by Vivien in Tenerife, using Tithe Barn Shepherd Huts parts. 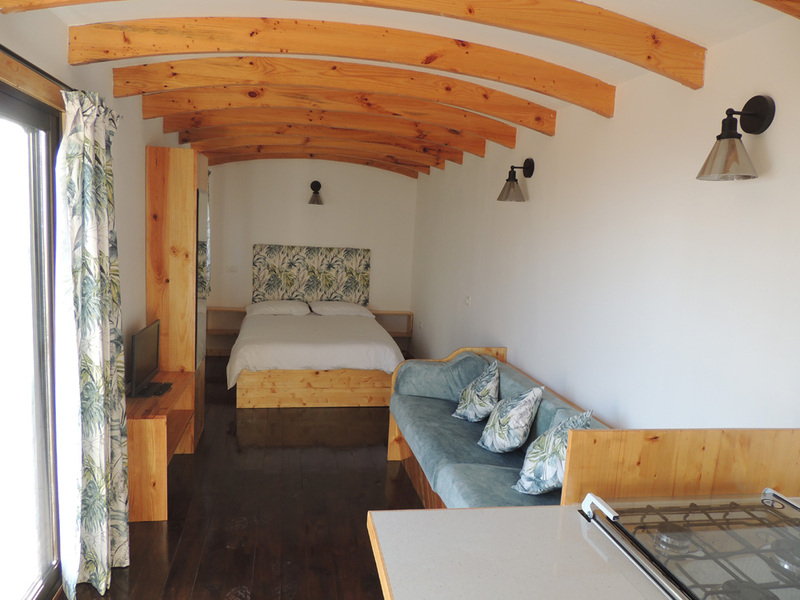 Using double insulation to keep the heat out, this is probably the first shepherds hut in the Canaries! 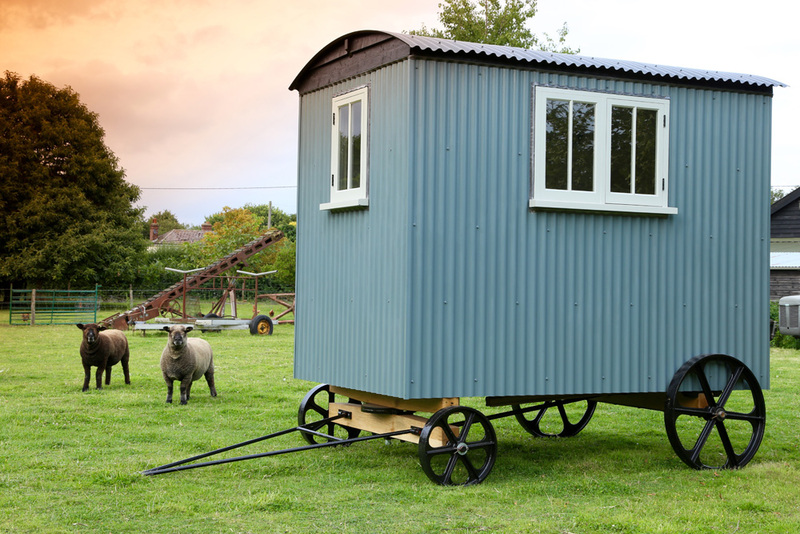 Built by Andrew in Godalming, using a complete bundle of parts from Tithe Barn. 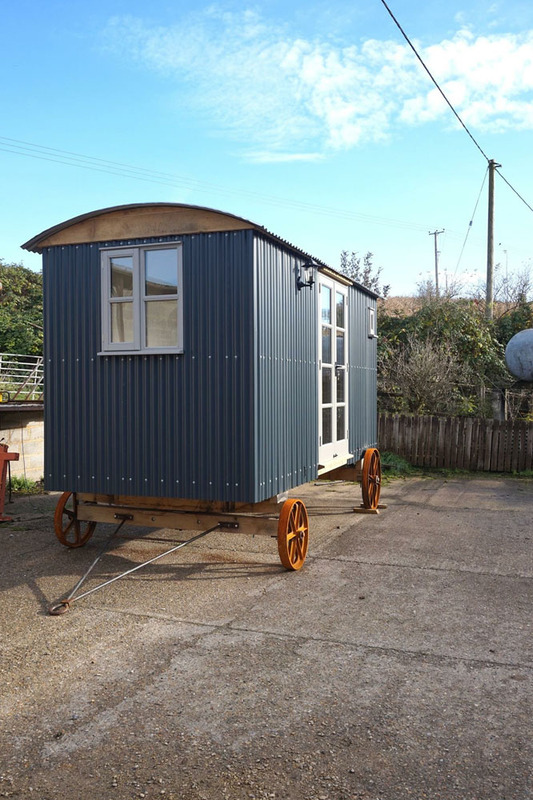 Built by Lynda & David in Devon, using a complete bundle of parts from Tithe Barn. 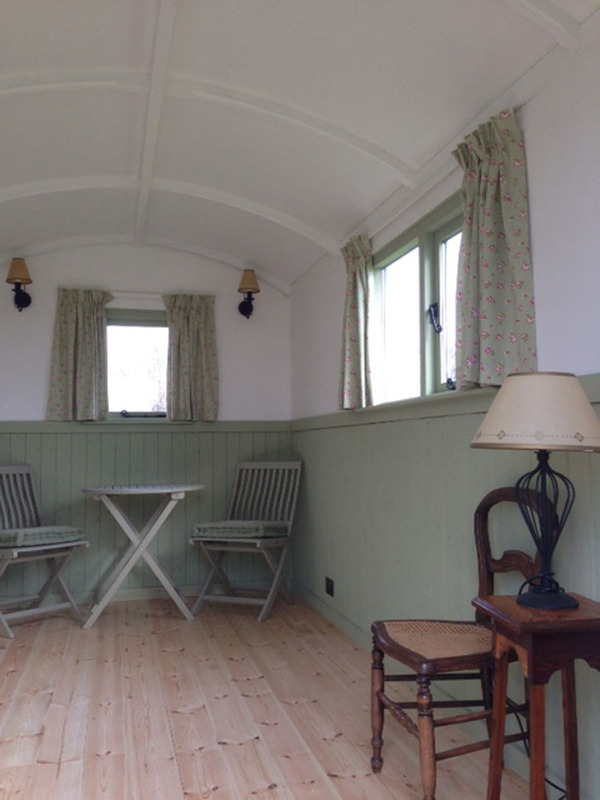 They would be delighted to build a hut for you! 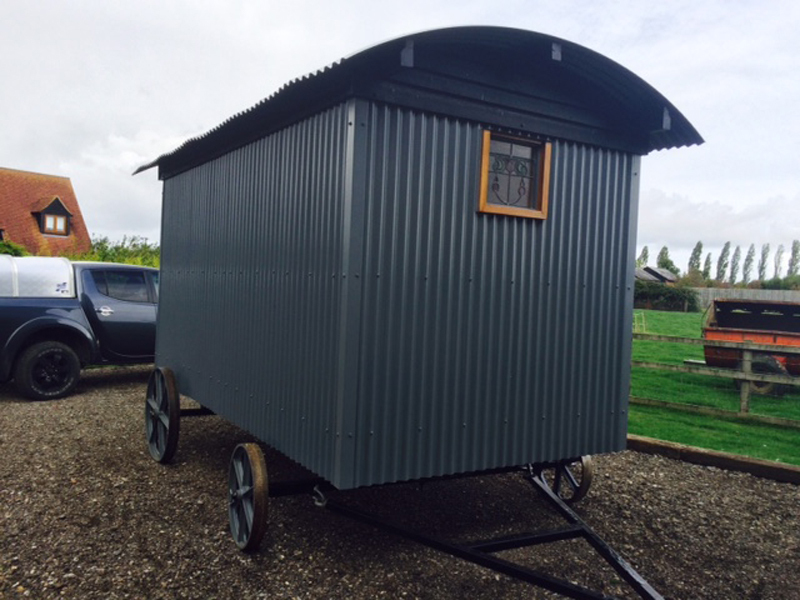 He uses Tithe Barn’s Chassis Bundle including our cast iron wheels, draw bar etc and also our roof sheets. 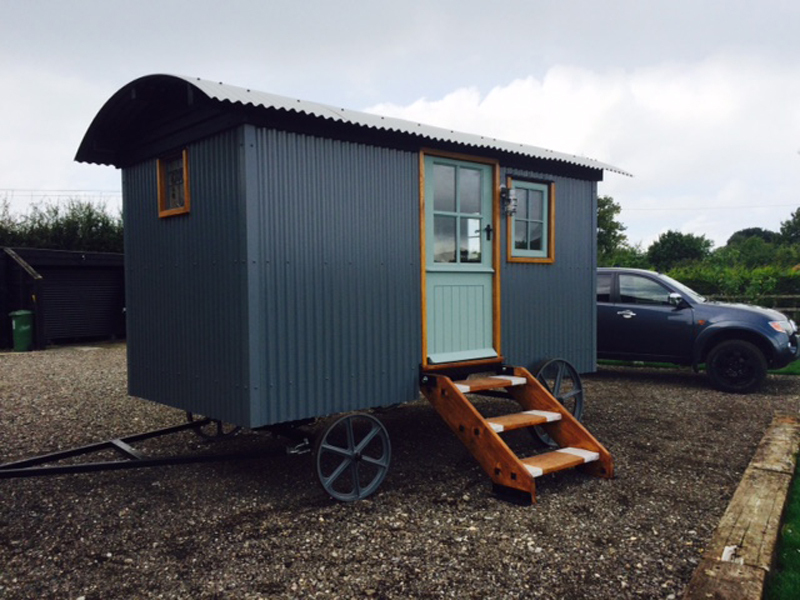 Andy used a Tithe Barn Chassis Bundle including cast iron wheels and also our corrugated sheets. 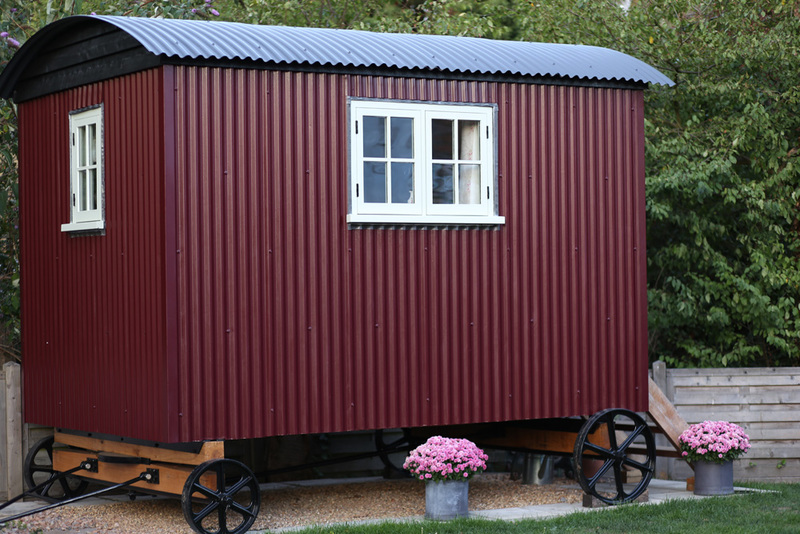 When Terry first thought of building a shepherds hut , he went online and liked the Tithe Barn website and phoned Sally for information. Her enthusiasm and knowledge soon convinced him that he could build one and he ordered the kit. Amazed at the quality of all the components , he sourced the remaining ones locally and proceeded . 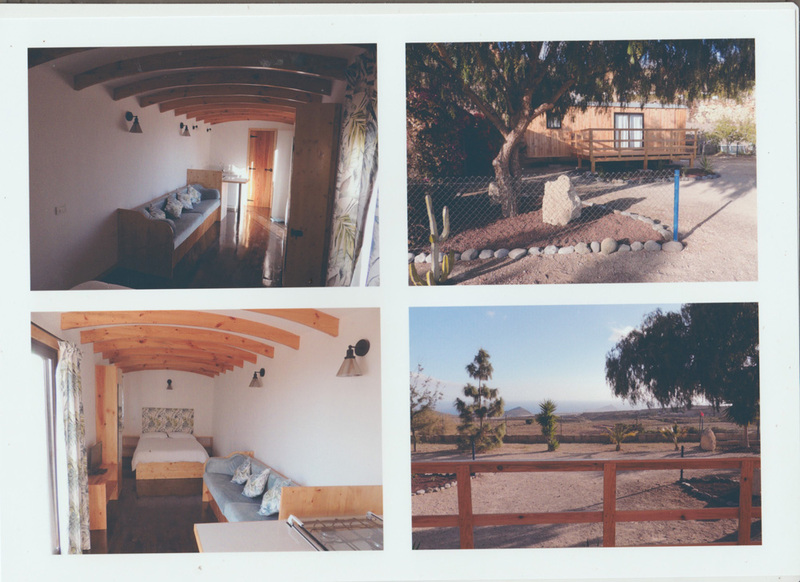 Whenever he was unsure of anything , Sally or Phillip were there to offer advice and encouragement, and using their gallery, we were able to get ideas to suit our requirements. 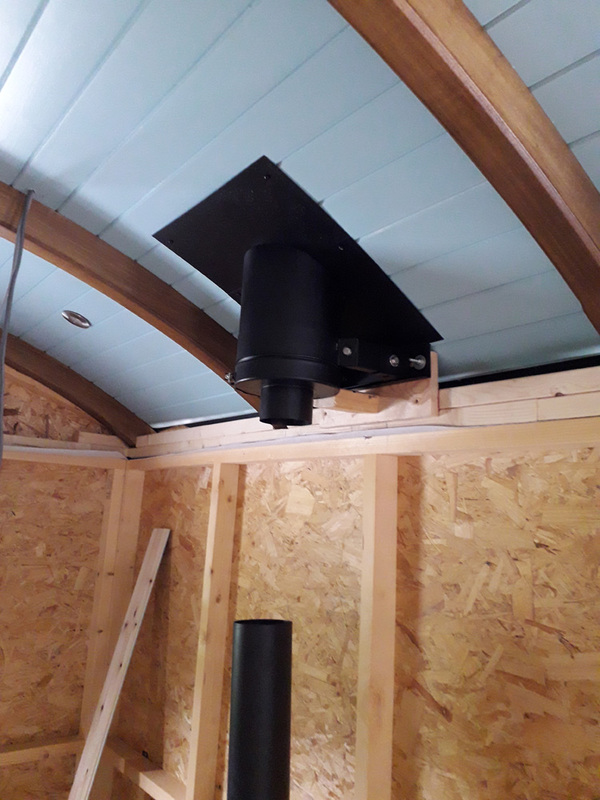 The hut kit was delivered on the 28th of May 2017 and with the help of our electrician, a Fensa neighbour, and an engineer to install the Hobbit, the hut was completed by October. Once again, thank you both for all your help, Sandra and Terry. 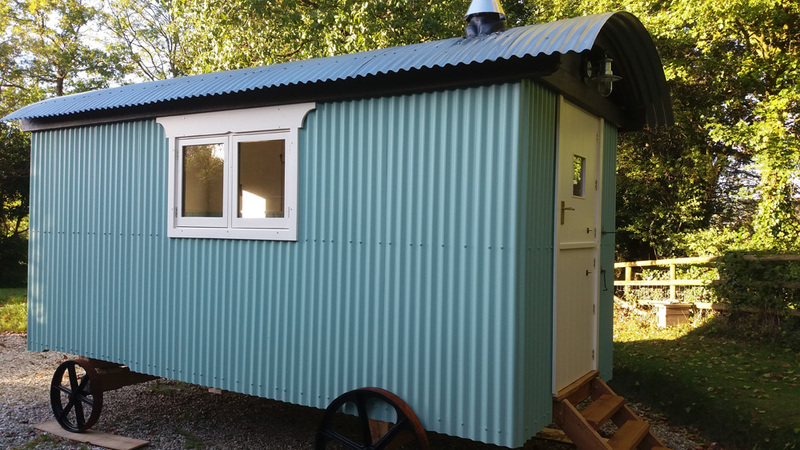 Having ordered a Shepherds Hut in kit form, we decided that it really needed dressing with substantial wheels and a corrugated roof. 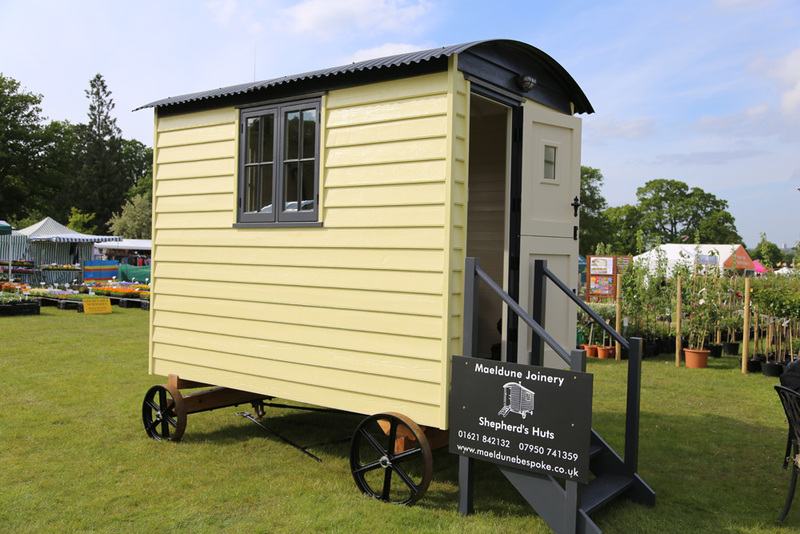 We went to see Sally and Phil who gave us some excellent advice and after about ten minutes we had chosen the wheels and even colour of the roof we wanted. Delivery was made of the items within two days. 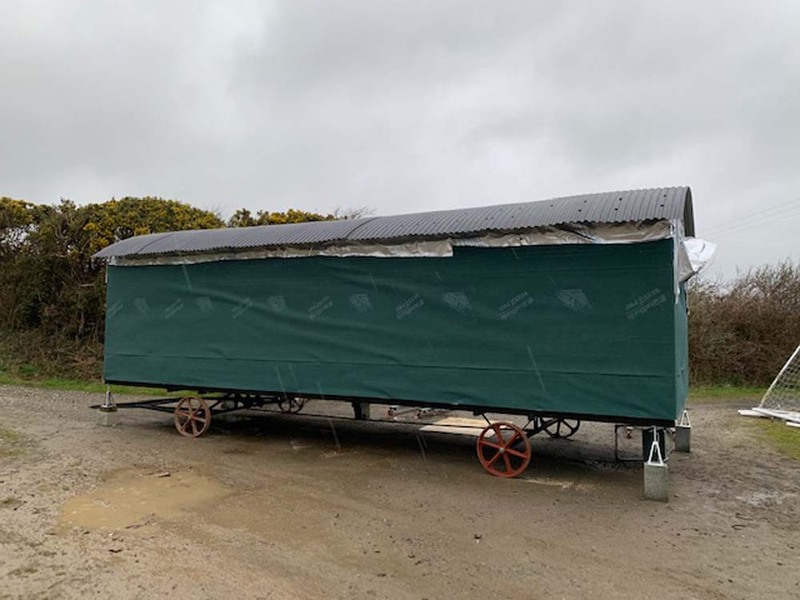 A slight modification was made to the chassis to accommodate the wheels which, incidentally, weight a ton, and this was quite easy by using a couple of 4" X 4" fencing posts. 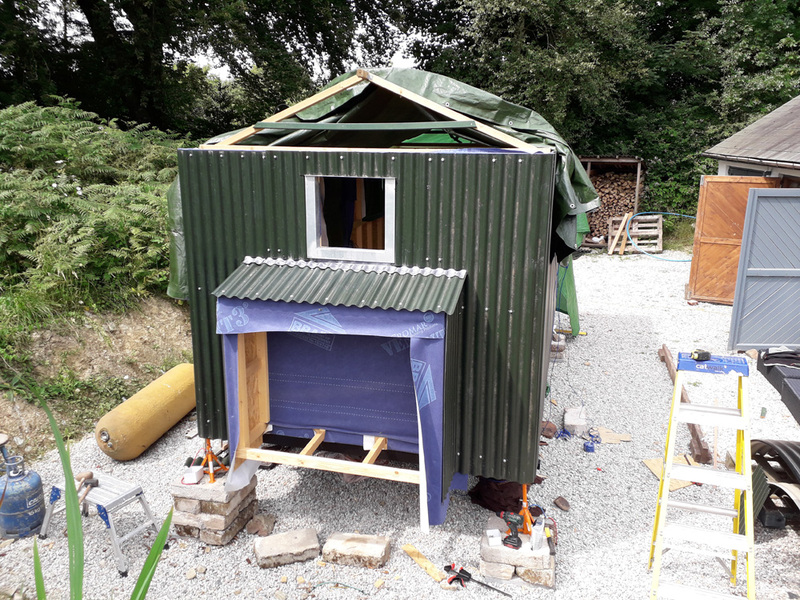 The corrugated roof was a perfect fit and went on in a couple of hours. "All in all, it was well worth a visit to see Sally and Phil. They also live in a beautiful part of the country! 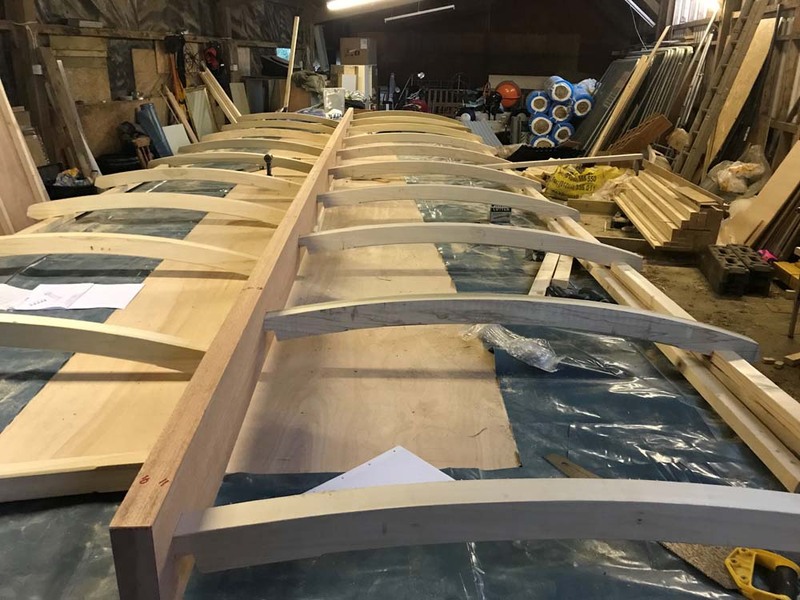 We have ordered multiple elements for our self-build project from Philip and Sally, having visited them in Northamptonshire and seen the high quality of the components at first-hand. 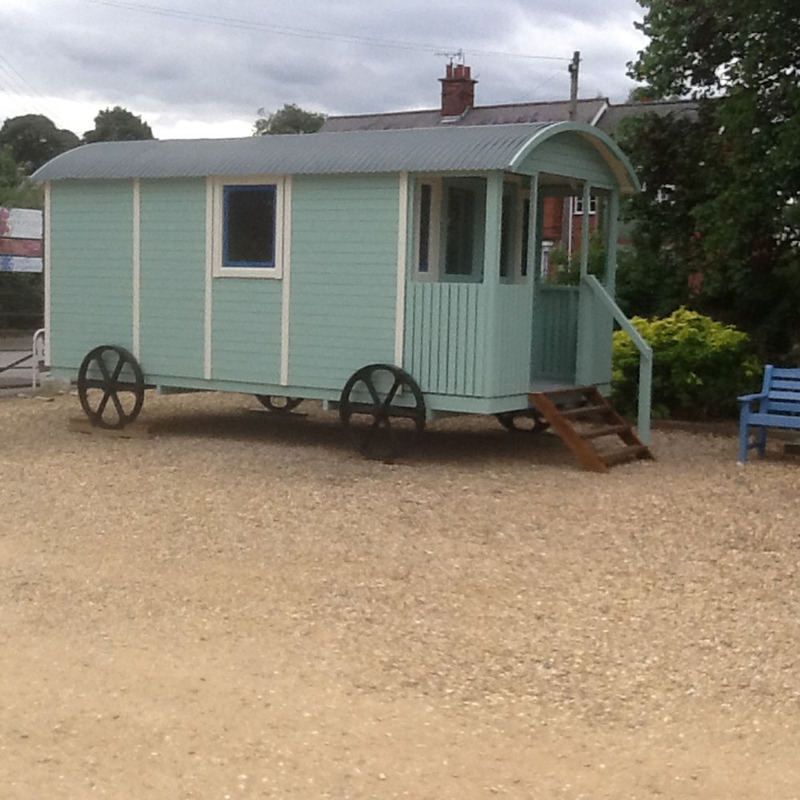 Eagerly awaiting our delivery and looking forward to getting started. The customer support has been nothing short of outstanding, with swift and detailed responses to the many questions I have sent across. 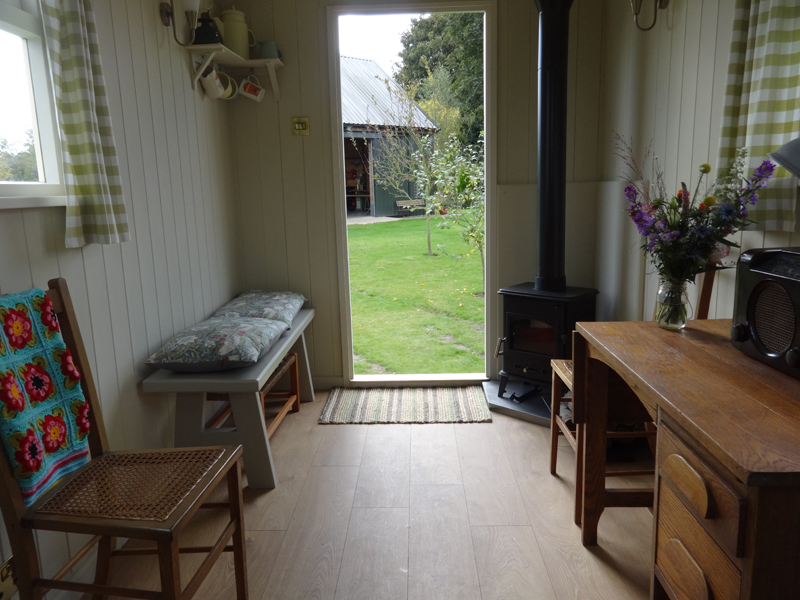 The Tithe Barn Self Build Instruction Manual and detailed technical plans are outstanding and worth every penny. 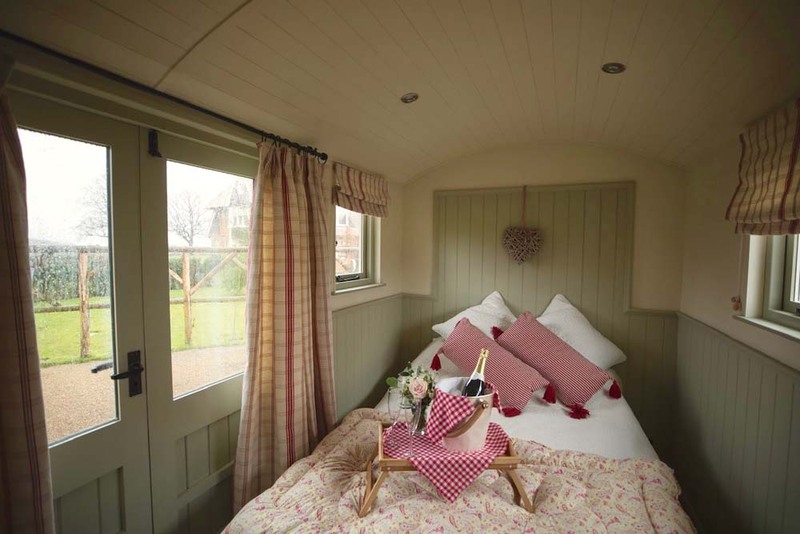 I would recommend Tithe Barn without hesitation to anybody looking to build their own Hut. 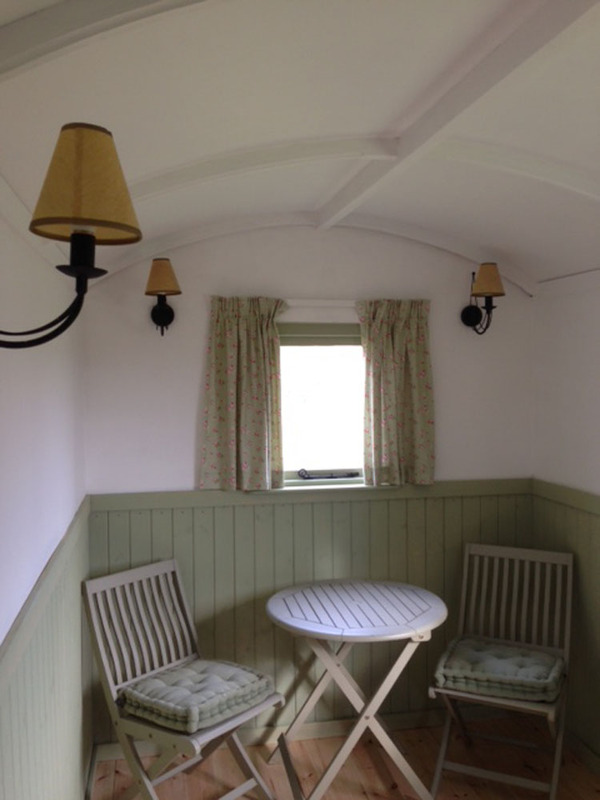 Working with Phillip and Sally at Tithe Barn Shepherd Huts was a pleasure for us when purchasing their products. 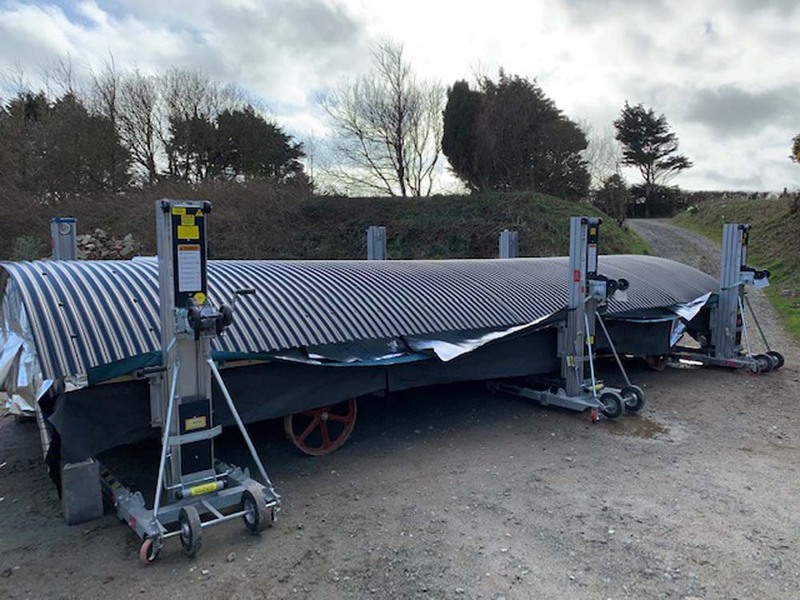 The quality of their communication with ourselves was second to none in terms of product information and installation advice. Quick response times to emails were complemented with more in depth information being given via phone conversations. 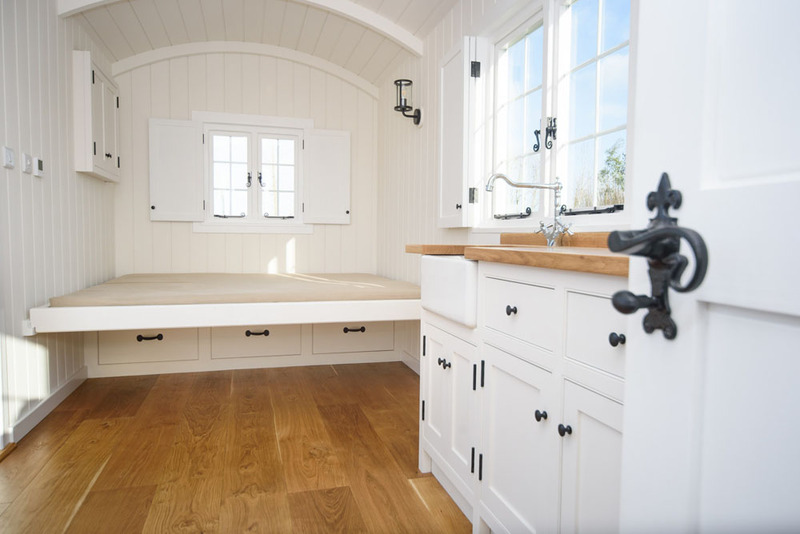 The products were of a high standard, from the materials used to the standard of craftmanship. 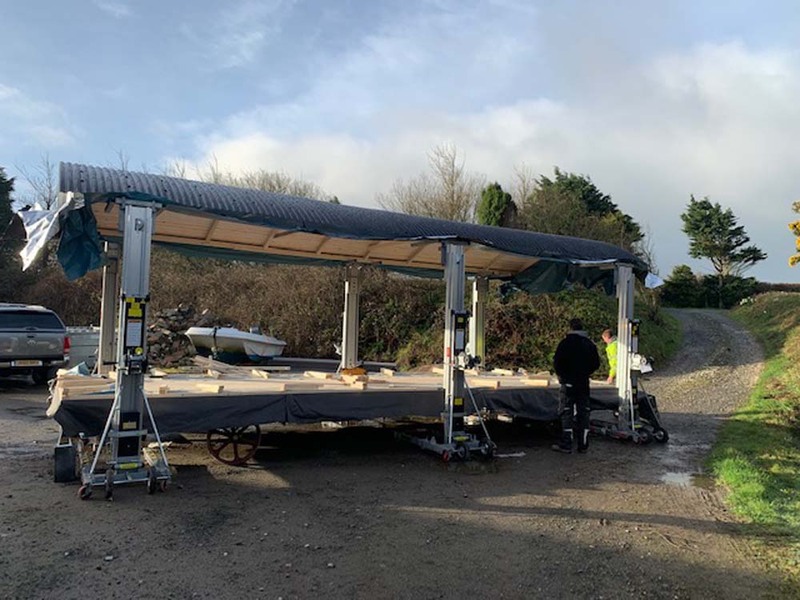 The delivery dates of the products was as promised and to meet Sally and Phillip in person simply strengthened the impression that you are dealing with positive forward thinking professionals. 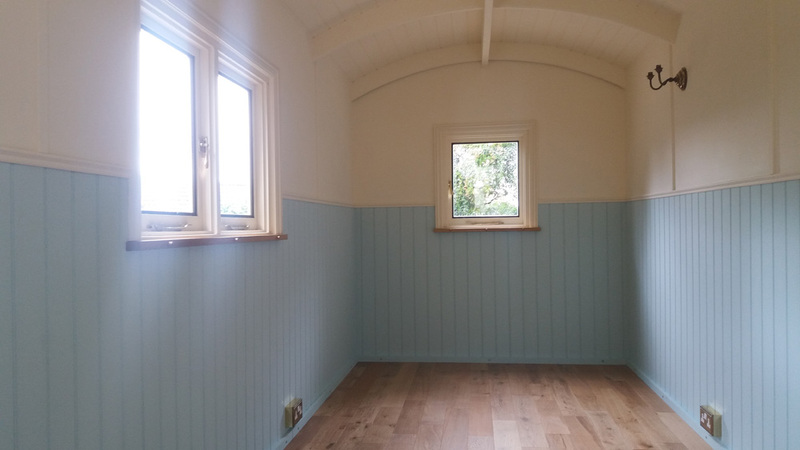 Dan is converting a listed Victorian drill hall. 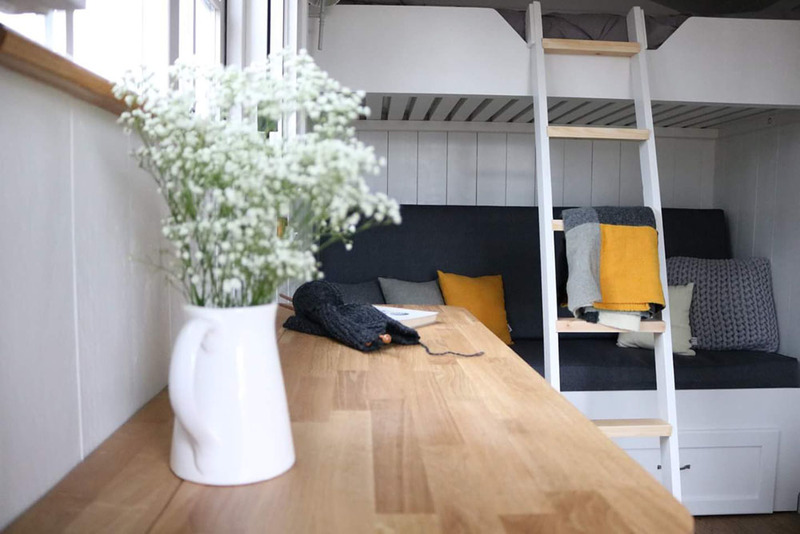 Because it was built as one open space, the listed buildings office stipulated we could only get permission to convert to a house if the building remained completely open plan. 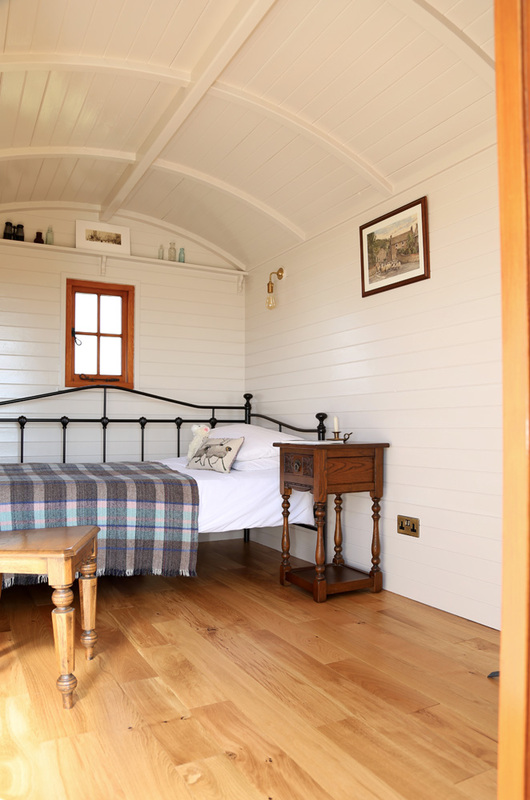 This hut is therefore staying indoors as a bedroom. 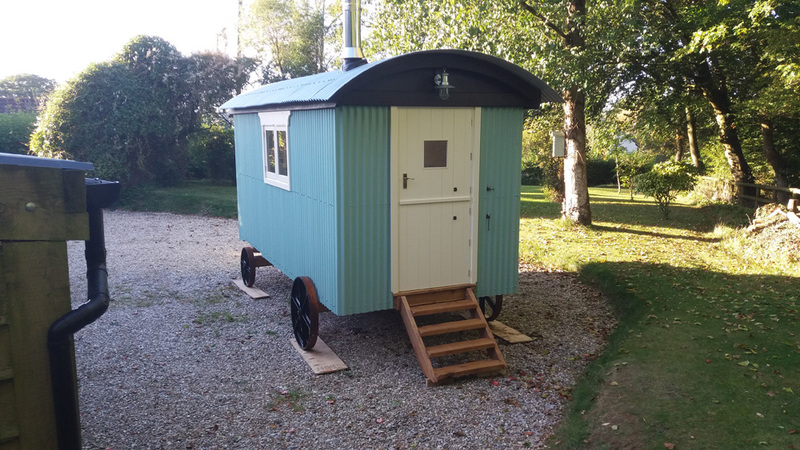 Harvey and his extremely active 85 year old Grandpa John are rebuilding an old shepherd’s hut and purchased some wheels from Tithe Barn Shepherd Huts. On receiving them, Grandpa John commented “They’re no mickey mouse wheels!”, which we took as a great compliment. 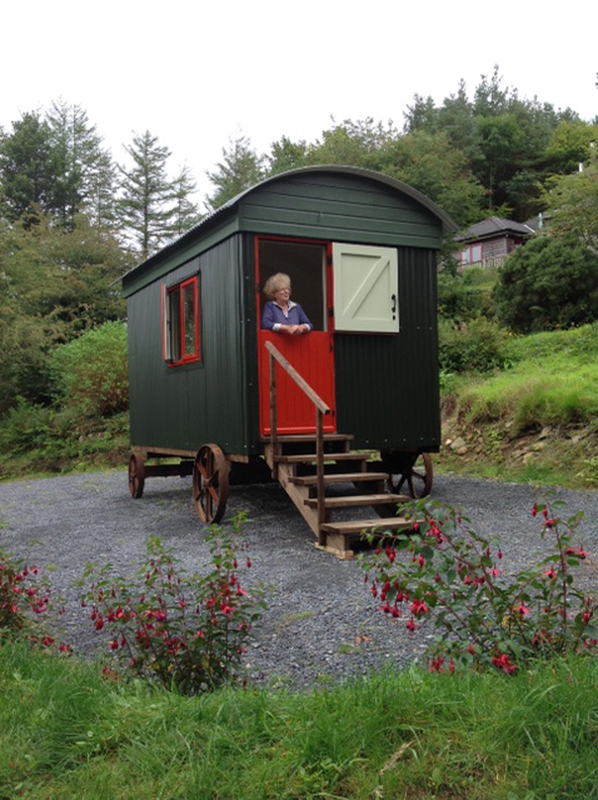 Hi Sally, the wheels arrived today thank you. The axles are perfect, nice welding! 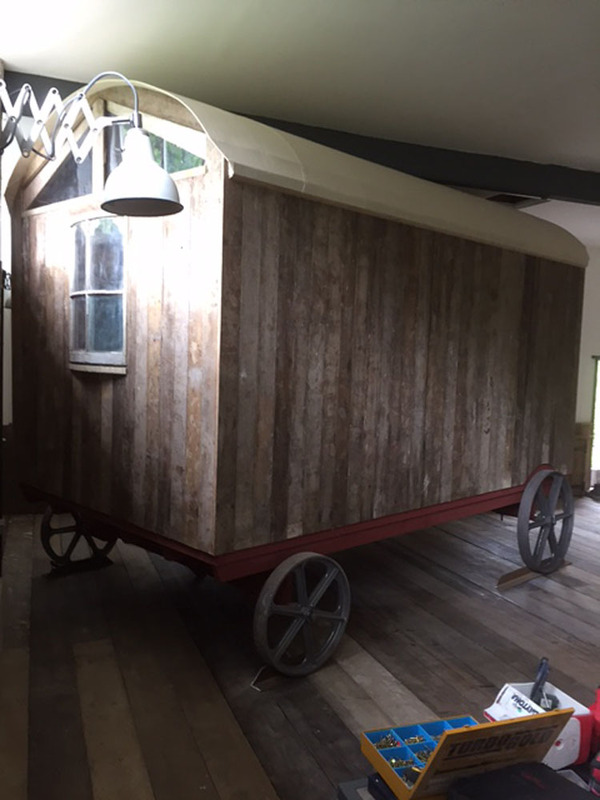 These 2 shepherd huts were both created by Joshua Rose Woodwork, based in Axminster using roofing sheets supplied by Tithe Barn Shepherd Huts. Joshua Rose can be contacted on 07496 089434. 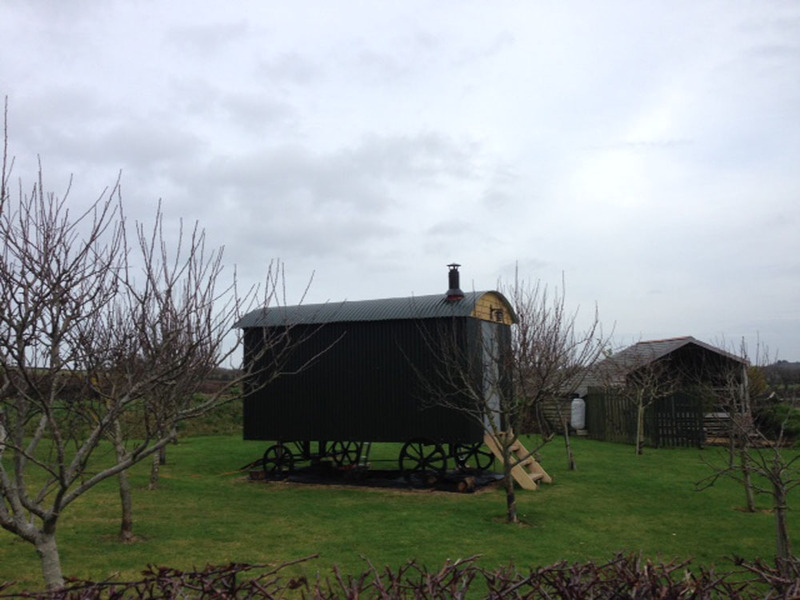 A perfect addition to the orchard. 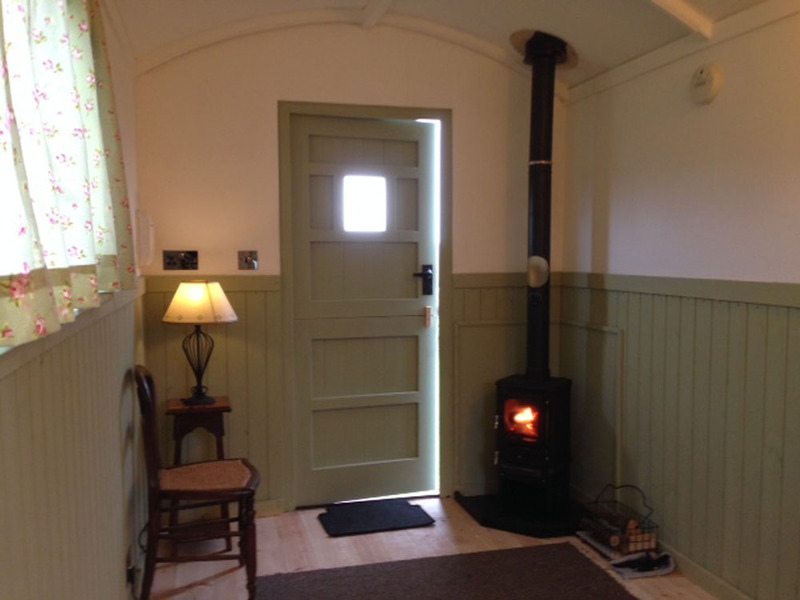 This cosy little retreat was created in around 10 weeks using windows, doors, walls and roof panels supplied by Tithe Barn Shepherd Huts. 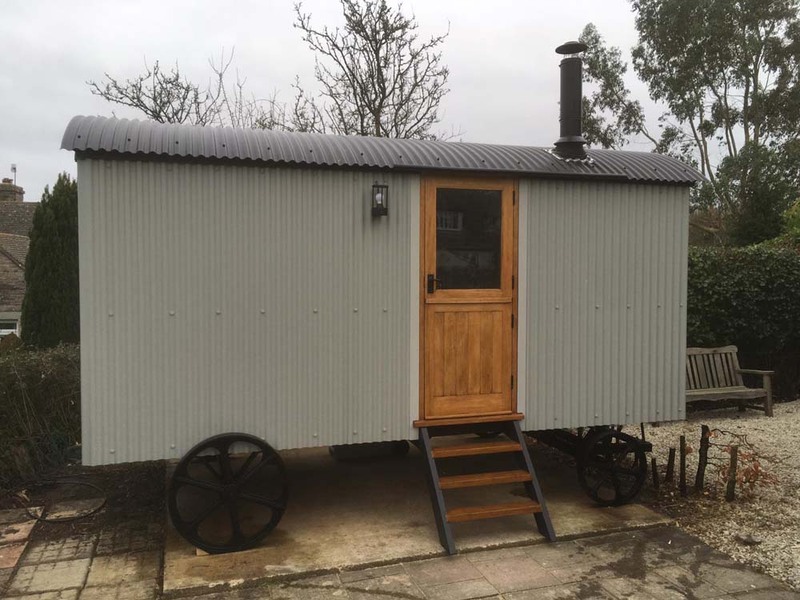 The cast iron wheels and Hobbit stove were also sourced from the company with whom I will certainly be contacting again when I begin my second build! Their advice, prompt responses and courtesy was much appreciated. 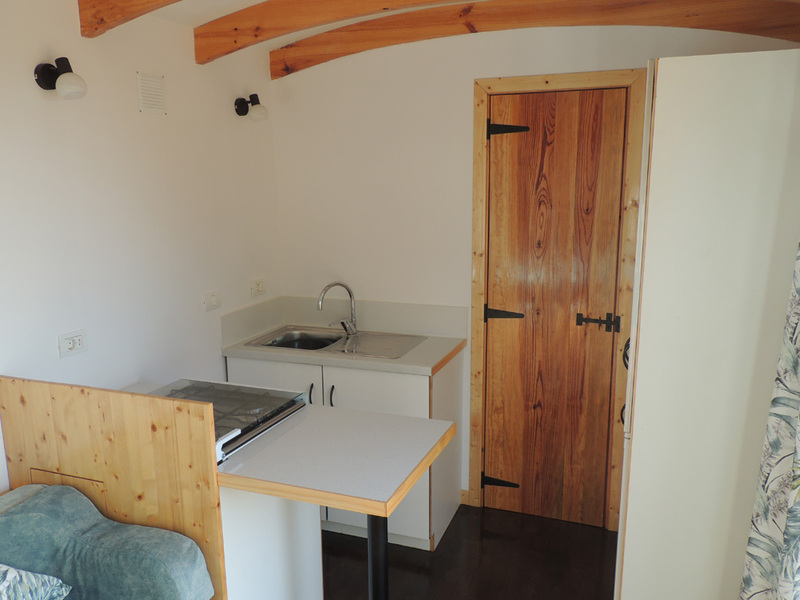 "Incidentally, in order to maximise use, I added a caravan style 16A electric hook-up. 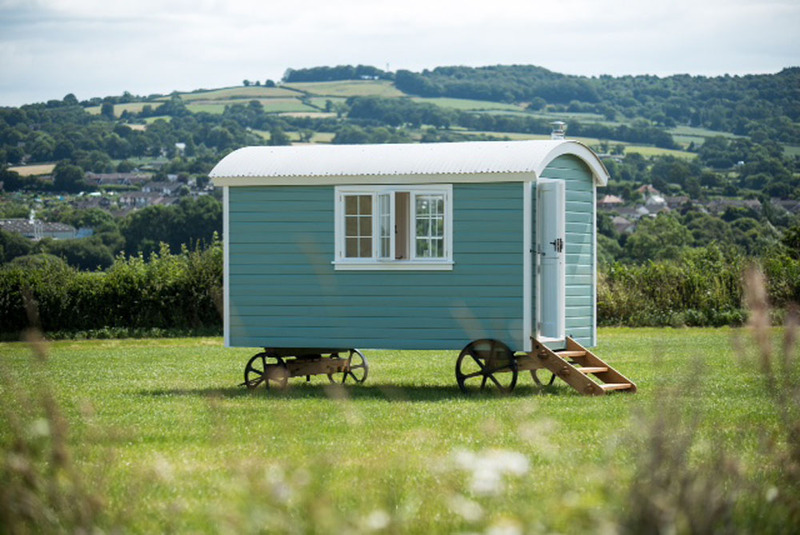 The hut's 13 amp and 6 amp circuitry is protected with its own RCD consumer unit. 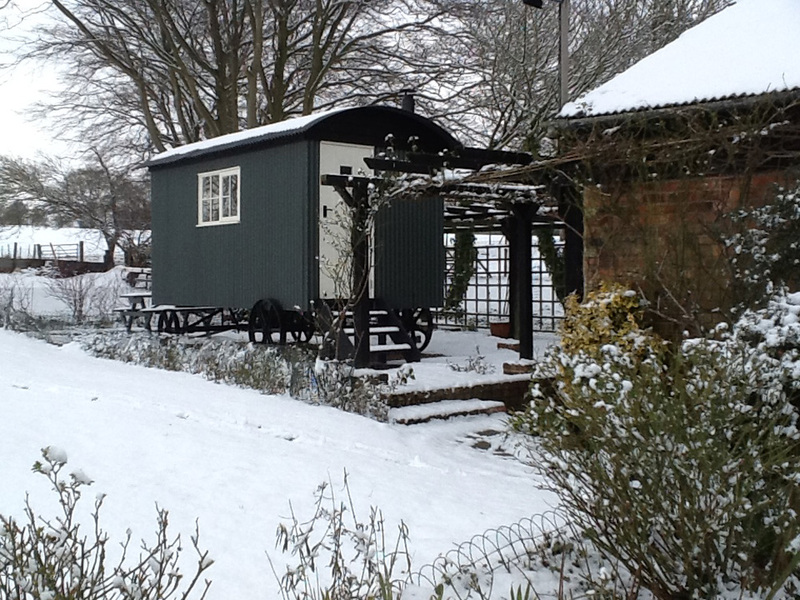 Built by Henry, Woodford Huts, using Tithe Barn cast iron wheels, and ‘A’ frame draw bar. 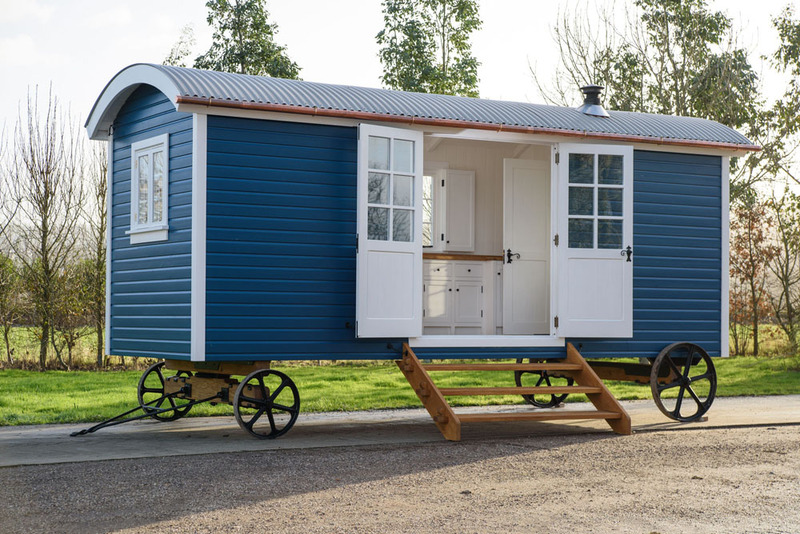 Located just 3 miles north of Salisbury, you can contact Henry on 07894 500899. We purchased the wall and roof cladding and Tek screws from you, also Vermiculite panels as shown in photo 4. 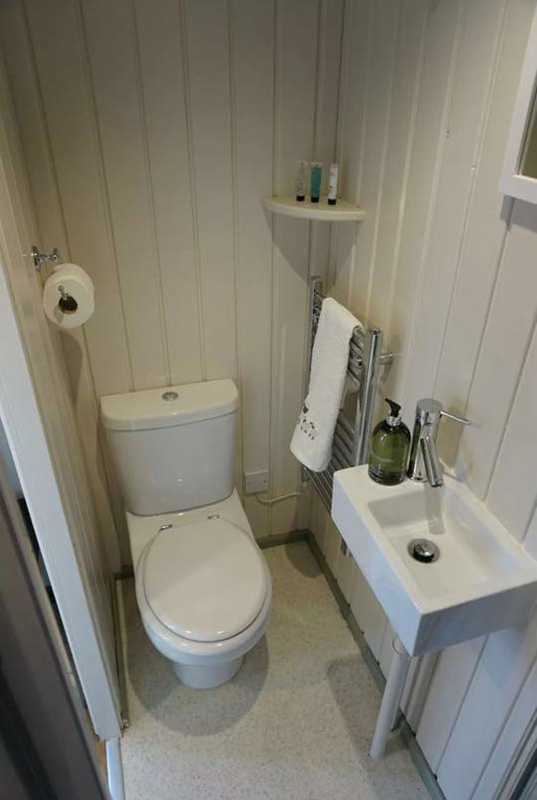 All very good quality. We are also grateful for the information and advice you gave us. 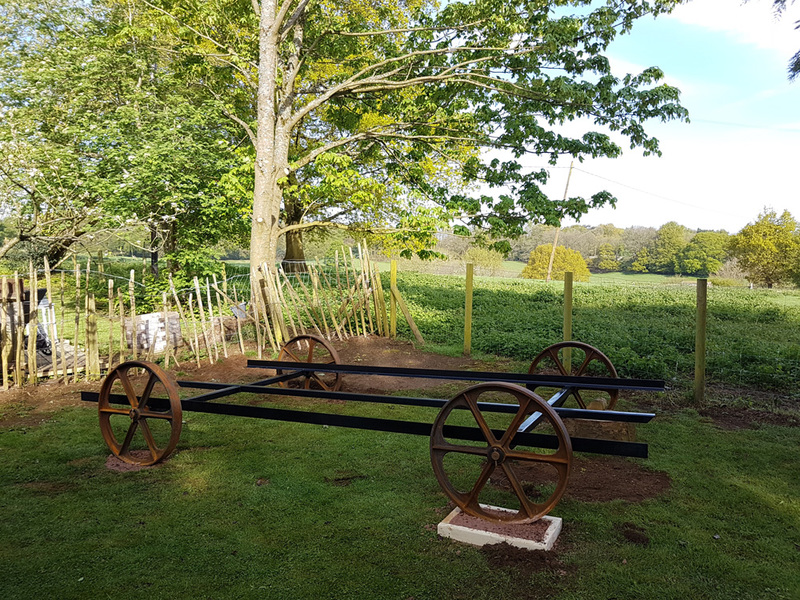 There are few things more pleasurable than two pairs of Tithe Barn cast iron wheels and stub axles to set one up on a hut-building crusade. 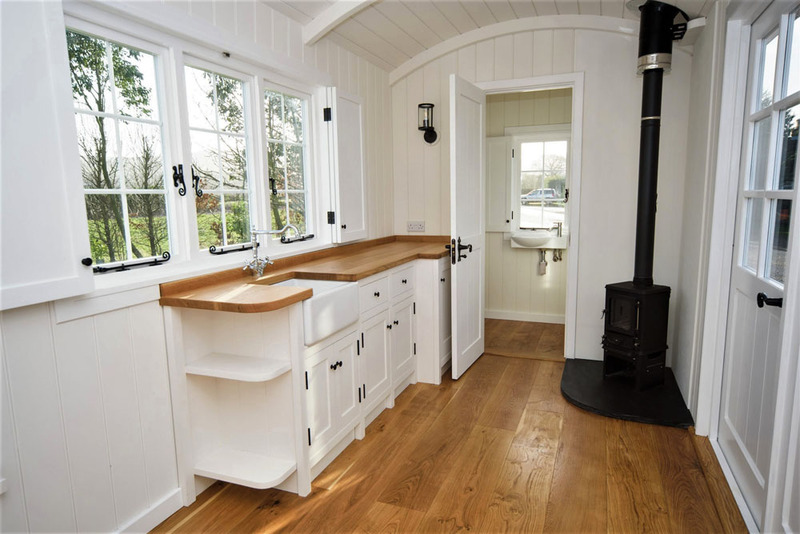 The range and quality of items available for self-build on their website is truly impressive - with a prompt delivery and friendly after-sales service, we were very quickly immersed into this rewarding project. 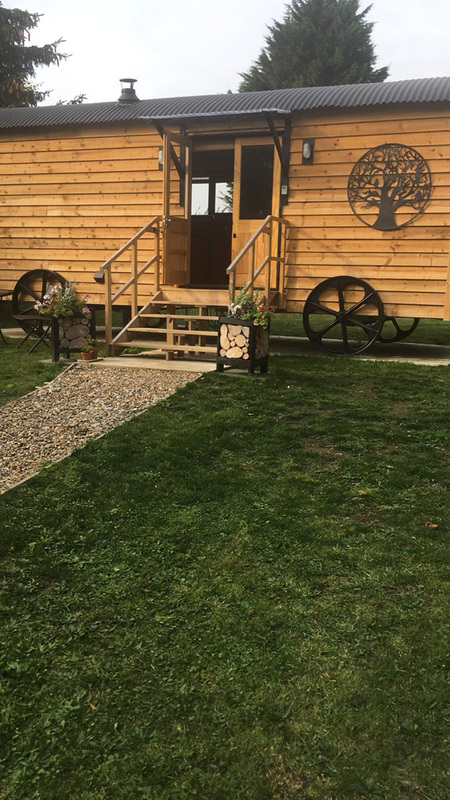 Tithe Barn has been a pleasure to deal with, and we know now for sure where to go for our next set of wheels! 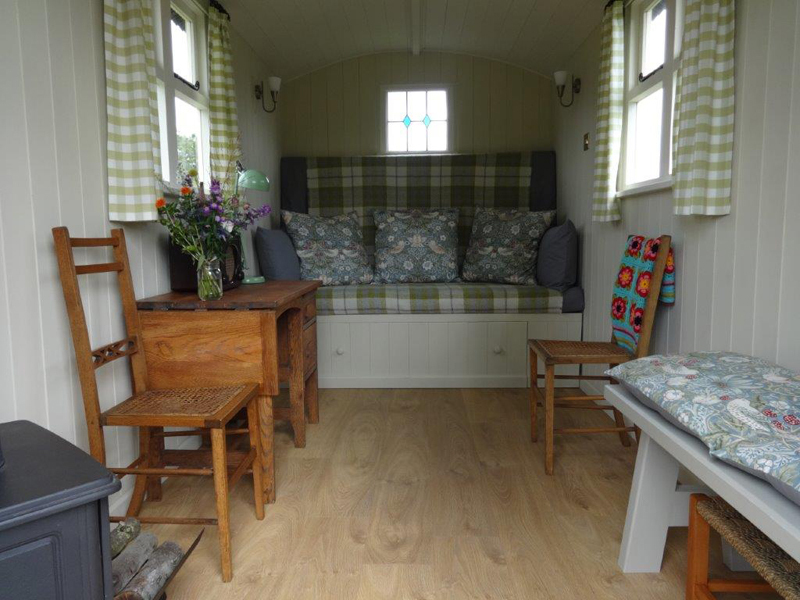 Working with Phillip and Sally at Tithe Barn Shepherd Huts was a pleasure for us when purchasing their products. 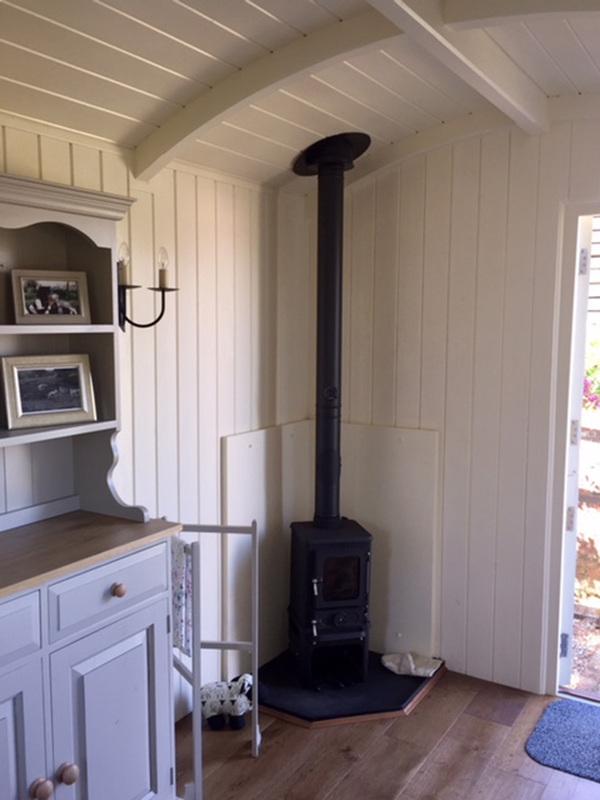 The quality of their communication with ourselves was second to none in terms of product information, and installation advice. Quick response times to emails were complemented with more in depth information being given via phone conversations. 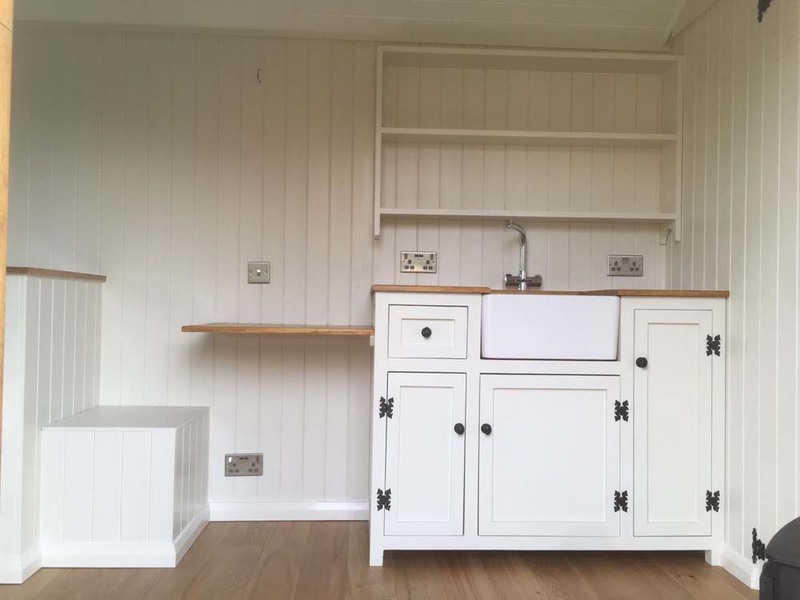 The products were of a high standard, from the materials used to the standard of craftmanship. 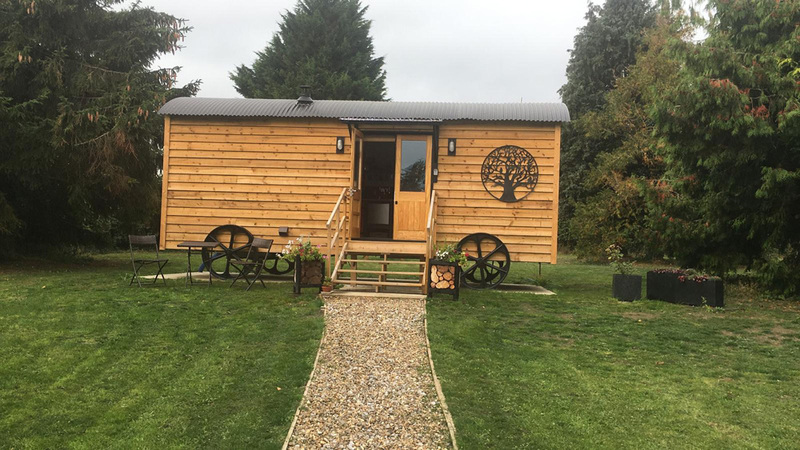 The delivery dates of the products was as promised and to meet Sally and Phillip in person simply strengthened the impression that you are dealing with positive forward thinking professionals. 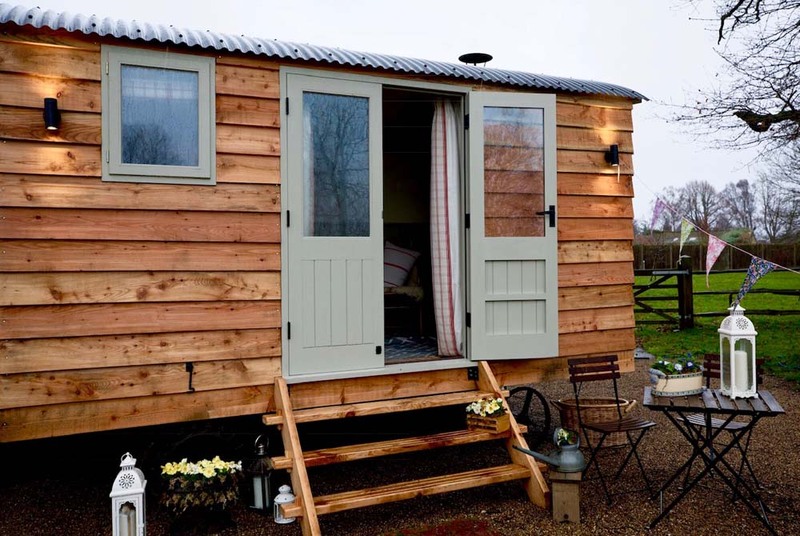 Thank you Sally and all the team for the prompt and efficient service I have received from Tithe Barn Shepherd Huts. The advice and guidance I have been offered, together with the excellent website, has been invaluable. 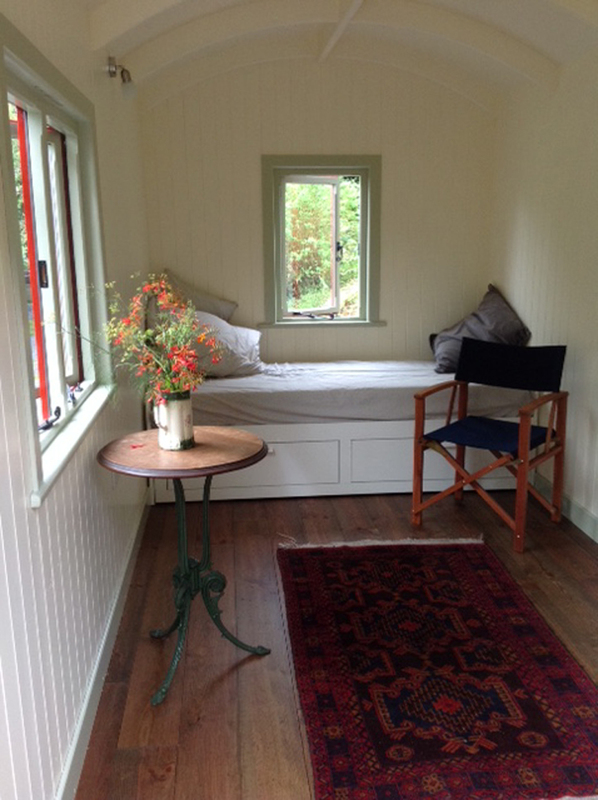 Tithe Barn have turned a long held dream into a reality...a wondrous reality. 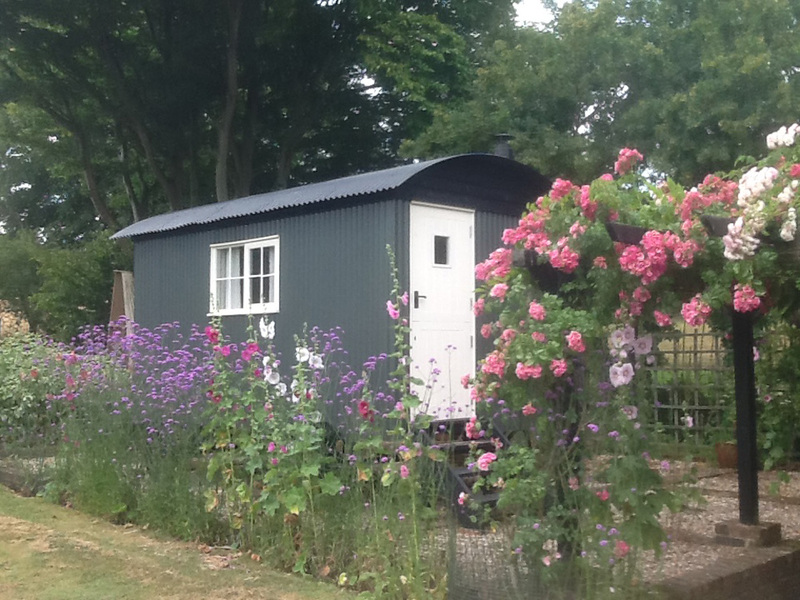 We now have a unique Shepherds hut - they listened to what we would like and then advised us how to achieve it, guiding us through sizes, colours, placing of doors, windows, stove ...we really wanted old ﬂoorboards - these they managed to locate for us and look just right in the hut, 'old' black latches and ﬁxings were found, sockets hidden away out of sight - all these details have created a truly centuries ago feel to our shepherds hut which is exactly what we were hoping for. 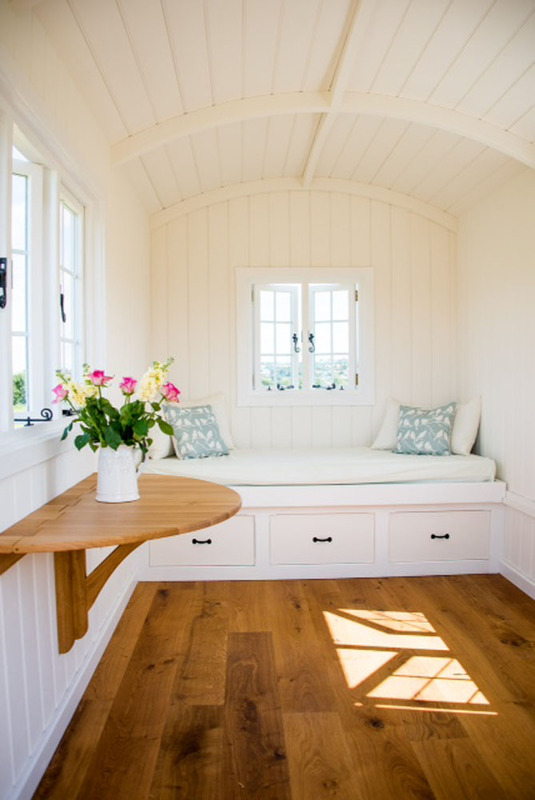 Their huts have a timeless feel to them, with such character both inside and out that it brings a smile to all who see it. 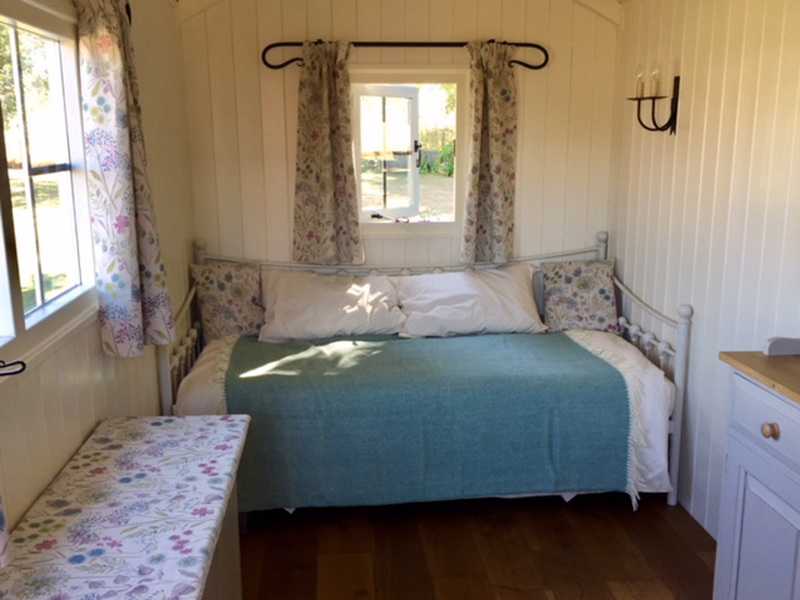 The craftsmanship involved in the curved roof beams and our bespoke oak steps are second to none ...we are over the moon with our shepherds hut and cannot recommend Tithe Barn highly enough - they have been an absolute pleasure to work with. 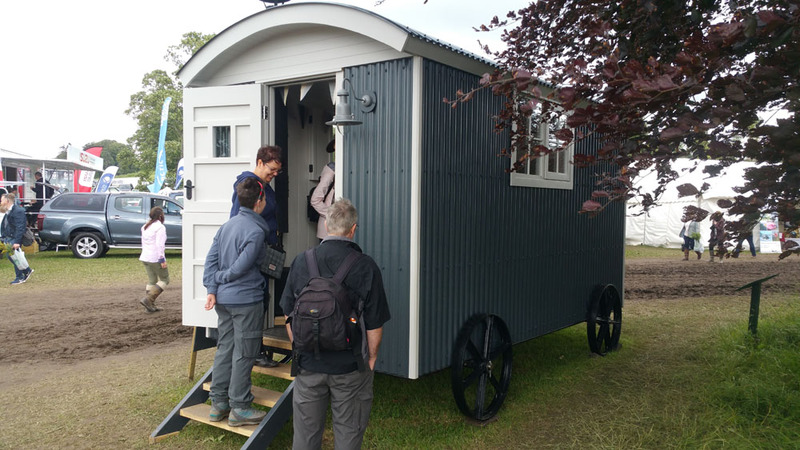 It has been a pleasure to deal with you over our hut. To say this was a purchase would be inappropriate, as that relegates the experience to a transaction. 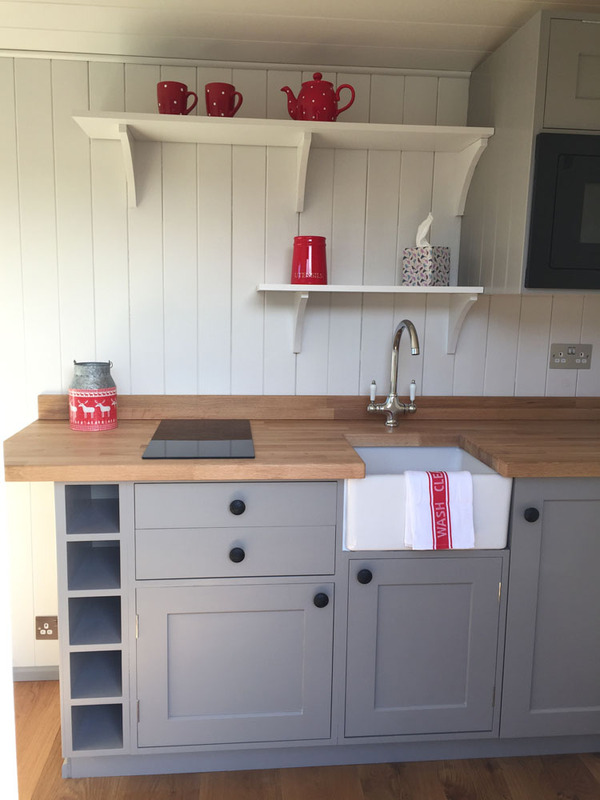 We have really enjoyed working with you, from the planning stage through to completion and delivery. 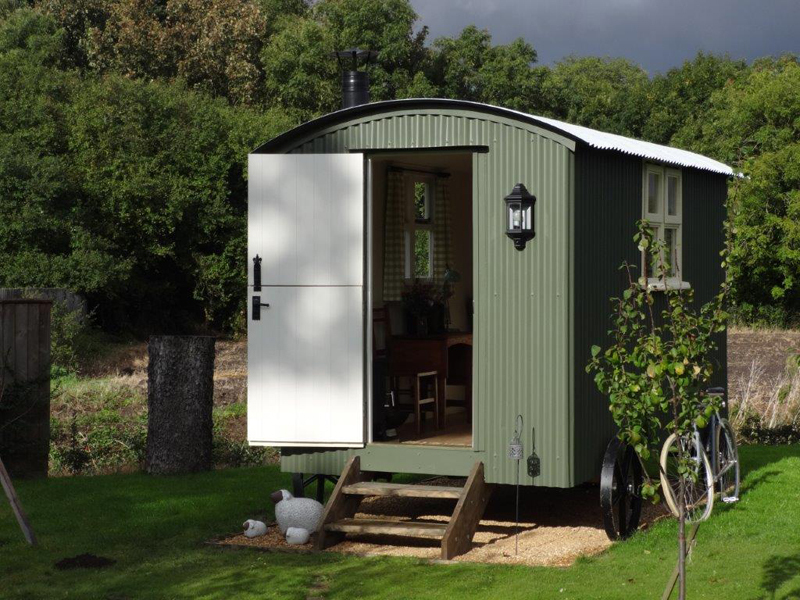 We are over the moon with our hut and are delighted to endorse Tithe Barn Shepherd Huts. It is true what they say about it being good to deal with local suppliers. 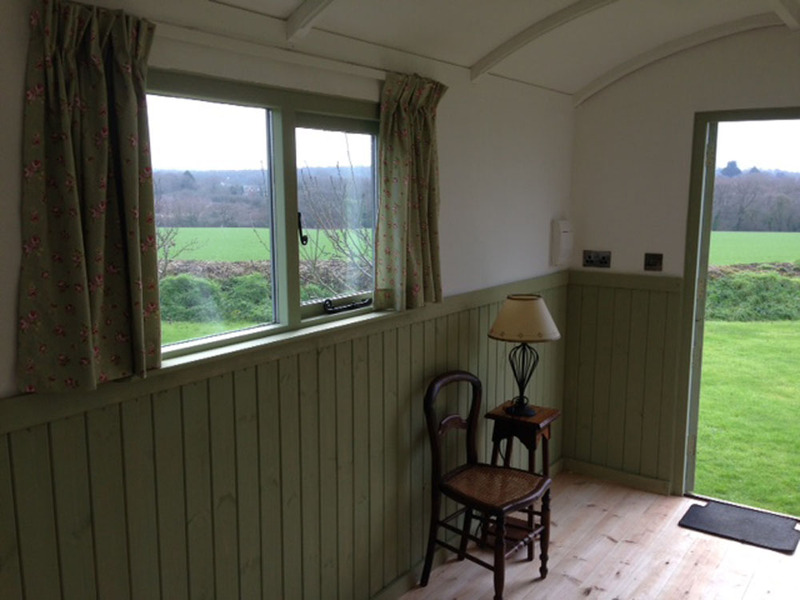 We are both delighted with our hut which will be used as an artist’s studio. 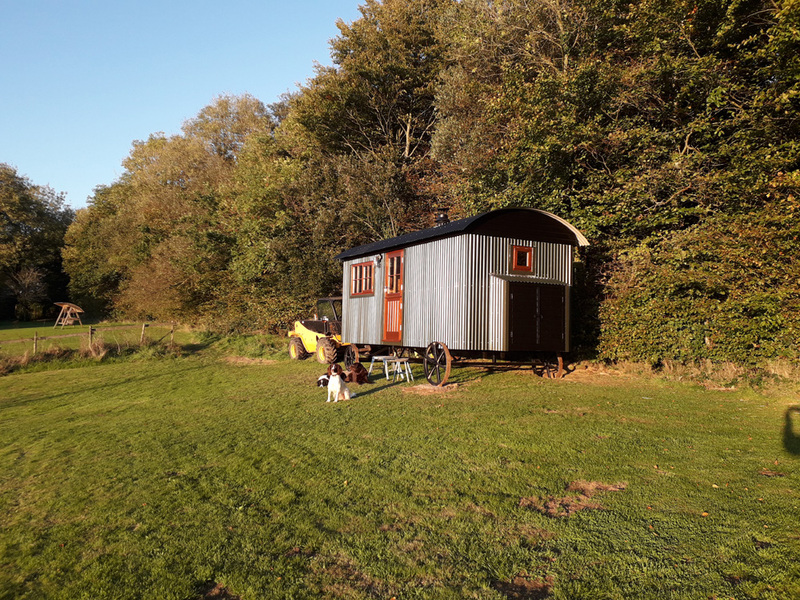 Our neighbours, passers-by and friends all think it is fantastic. 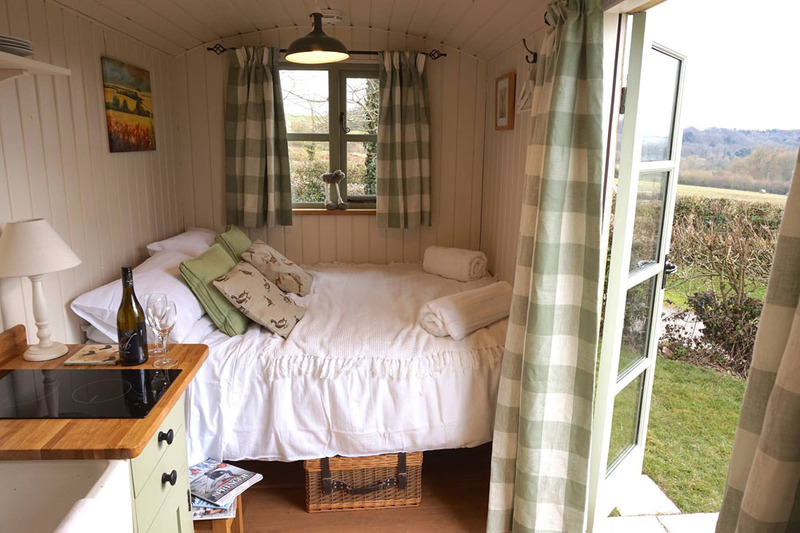 Phillip and Sally will not let you down and you can be assured of the best possible quality and personal attention from them. We have made new friends and they will be on the list of guests for the official opening / exhibition in the spring. 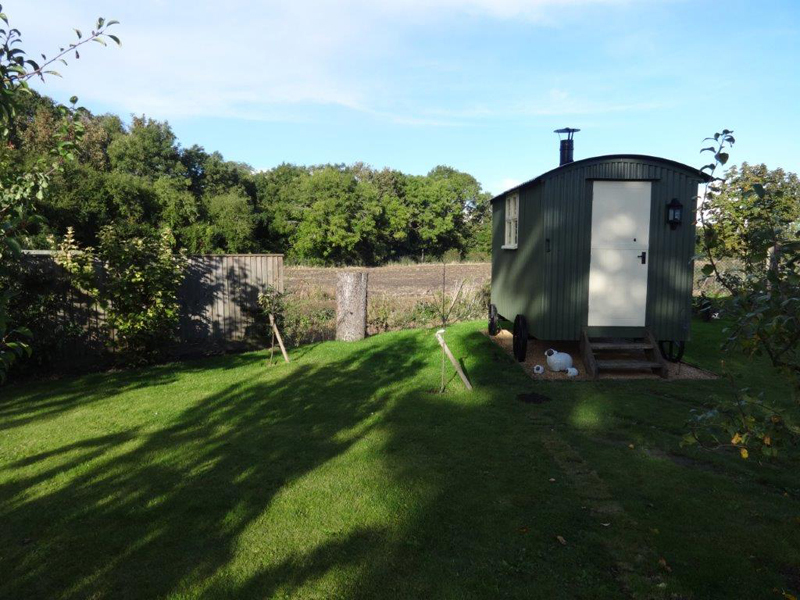 Our hut sits very cosily in our orchard and we have had the offer of 2 spring lambs to live with us to complete the picture. N.B. We are vegetarians, so they will be pets and assisting us to keep the grass down. 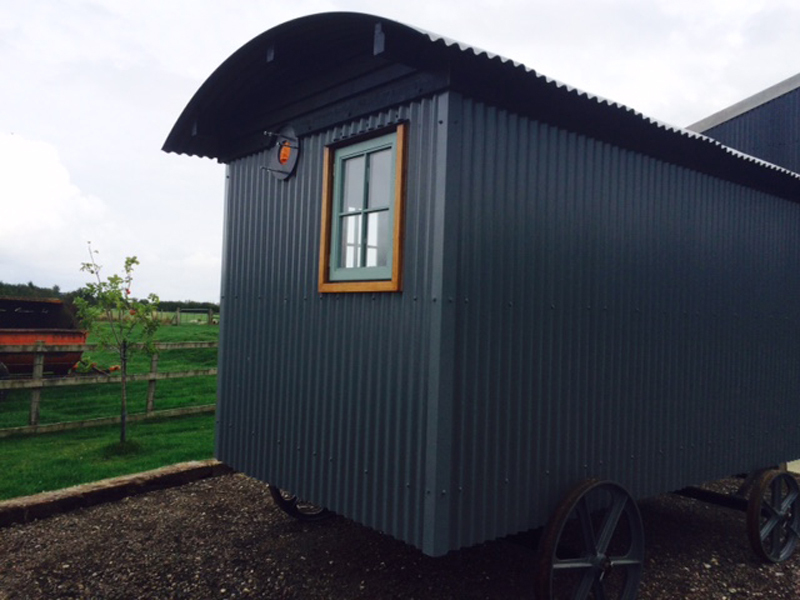 Having recently purchased a Shepherd Hut from Tithe Barn I would like to say how pleased I am with it. 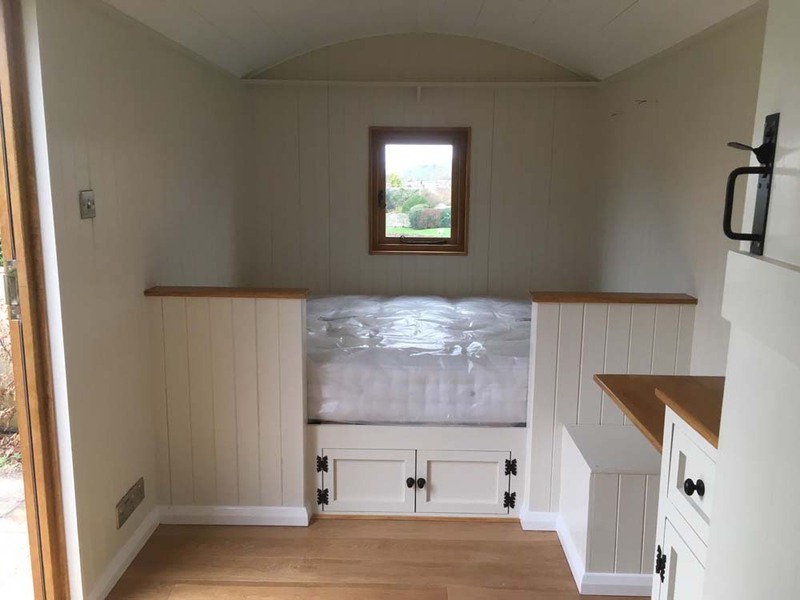 I had done some research before deciding who to buy from and it didn't take long to realise that with the help, guidance and quality I was offered, that Tithe Barn was the company I would be most happy with, and I was. 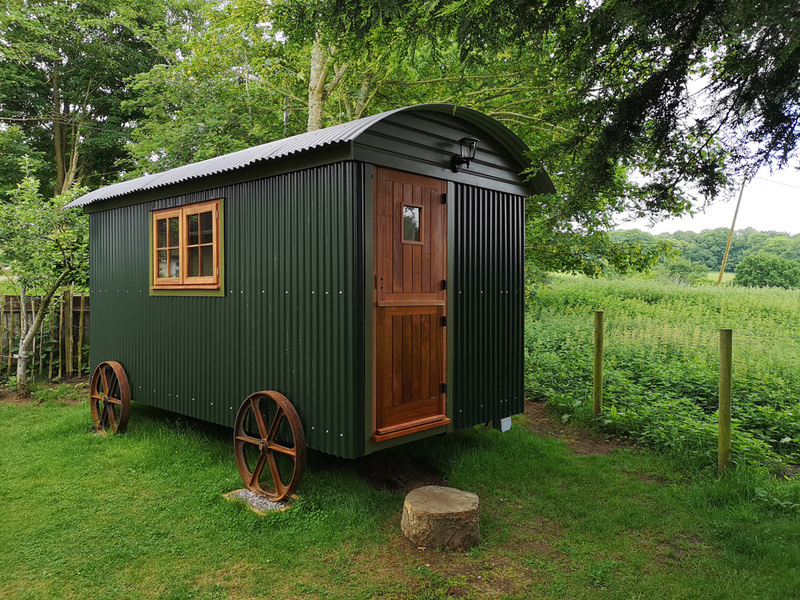 Tithe Barn Shepherd Huts proved to be a joy to work with to design our very own hut, and their attention to detail and build quality is really outstanding.